This handwashing set up obviously harkens back to the early days of Montessori. 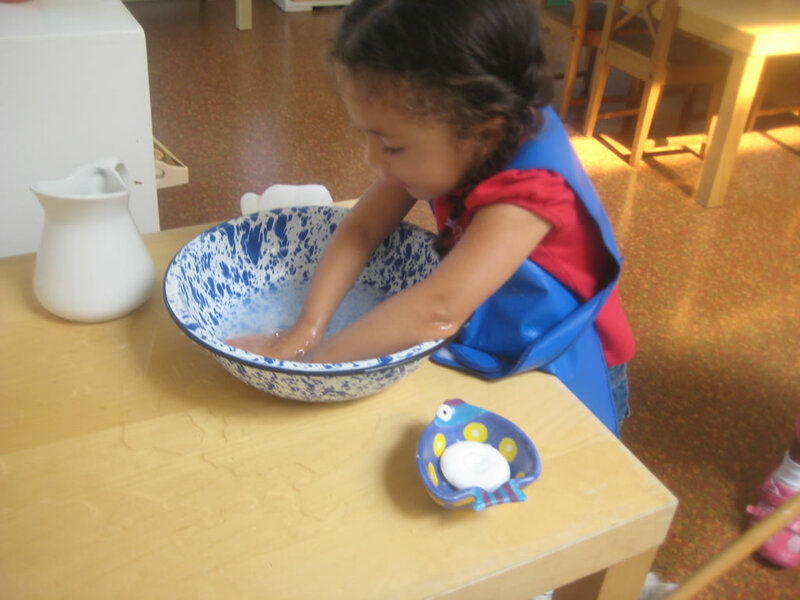 However, the popularity of this work will tell you that 1) children love to do multi-step activities (the stretch their minds and bodies, so feel great) and 2) handwashing can truly be an enjoyable, sensorial activity, with warm water, nice sounds, nice smells (soap! ), and so can be taught to be enjoyable. This is lovely, as we know that handwashing is a life skill which we want children to gladly do many times a day!